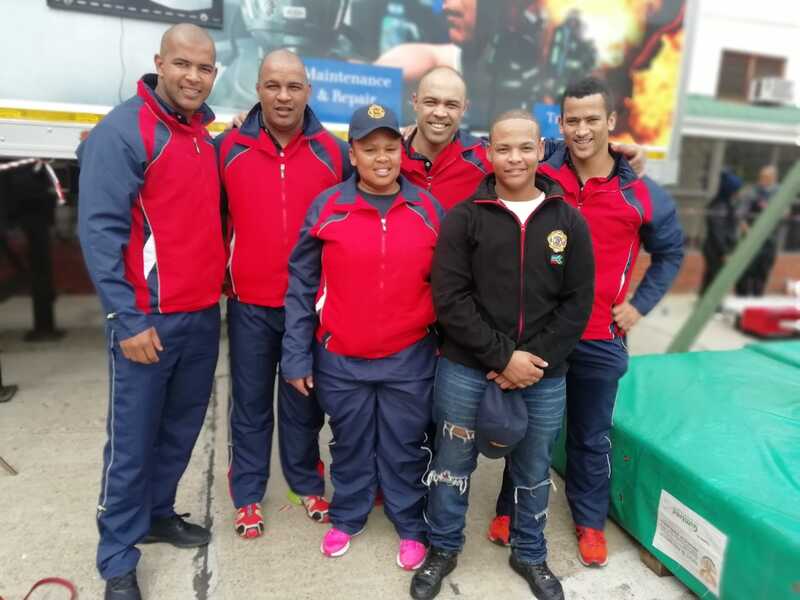 The Firefighting team of Eden District Municipality (Eden DM) is currently participating in the “South Africa’s Toughest Firefighter Alive (TFA-SA)” competition held at the Roeland Street Fire Station in Cape Town from 10 to 12 August 2018. The team is registered to participate in all “Individual” categories as well as the “Relay Team Category”. Team members Messrs Emile Conrad, Deon Stoffels, Edwin Lottering, Branville Abrahams and Martino-Mariano Jacobs, as well as team leader Ms Khutula Maki, are representing the Eden district at the event. The Eden DM Firefighting team is well known for their outstanding performances in the competition since 2011. Especially Senior Firefighter Emile Conrad, who has won gold in the open division at the first participating competition. In this competition the Eden team walked away with four medals. Over the last seven years, the team excelled and brought back more accolades, as well as more commitment and endurance. Ever since, Emile Conrad continued to make the Eden district proud by maintaining his title as “Toughest Firefighter Alive” and the team members continued to excel in the Individual and Relay challenges over these years. The event officially kicked-off with the Meet-and-Greet Session and Team Orientation today and will follow with the challenges on Saturday, 11 August 2018 from 9h00 until 18h00. Good luck to Eden DM Firefighting team. Continue to make the Eden district proud! This year, Eden DM was one of the top 5 finalists for the prestigious Eco-Logic Biodiversity Award. The municipality has received a Certificate of Merit for its Local Action for Biodiversity: Wetlands South Africa (LAB: Wetlands SA) Project. 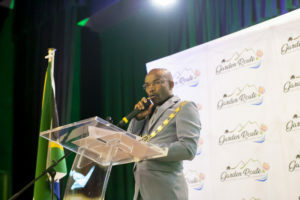 The award ceremony took place on 5 June 2018, World Environment Day, in Tshwane. The LAB: Wetlands SA project aims to protect wetlands in the Eden District and ensures that these valuable assets provide critical services such as flood attenuation, water storage and water purification, whilst increasing the municipality’s resilience to the impacts of climate change, preventing natural disasters, and preserving vital habitat for local flora and fauna. The ICLEI’s LAB: Wetlands South Africa Project contributed significantly to the long-term conservation and sustainable use of wetlands and served as an inspirational and practical example for others. The project continually enhances the awareness of wetlands as well as the integration of biodiversity considerations into local government planning and decision-making. It has improved the capacity of district municipalities to prioritise and effectively manage wetlands and biodiversity. The Eden DM has fully supported and benefitted from this project. 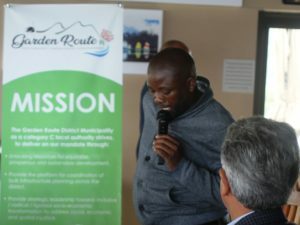 Its participation within the project, highlighted the challenges experienced with wetland management within the district, which resulted in the development of two essential documents – the Eden District Wetlands Report and the Eden District Wetlands Strategy and Implementation Plan. These documents were co-developed by both ICLEI and Eden DM as part of the LAB project. The Wetlands Strategy and Implementation Plan provide for key implementation strategies within the district as well as its incorporation within the Eden DM Spatial Development Framework and Integrated Development Plans. This will facilitate dynamic and focused wetland management and protection initiatives within the district. Other nominated finalists for the coveted Biodiversity Award included the ‘Bearded Vulture Breeding Programme’, the ‘Buffelsdraai Landfill Site Community Reforestation Project’, the ‘Cape Town Environmental Education Trust – Nature Care Fund’ and the ‘Lifescanner Lab-In-A-Box’ project. “The Eco-Logic Awards provide recognition for the best eco-champions of South Africa,” says David Parry-Davies, publisher of Enviropaedia and founder of the Eco-Logic Awards. International Firefighters Day was internationally celebrated on 4 May 2018 and celebrations continued in George on 5 May. Countless brave firefighting men and women have been committing their lives and will continue to commit their lives to protect humans, infrastructure, pets and wildlife etc. After Team Eden DM Won the challenge, from left to right, are: Mr Clive Africa (Eden DM Executive Manager, Community Services), Mr Freddy Thaver (Eden DM Chief Firefighter), Cllr Memory Booysen (Eden DM Executive Mayor), Mr Emile Conrad (Eden DM Senior Firefighter), Mr David van Niekerk (Senior Firefighter) and Mr Deon Stoffels (Eden DM Senior Firefighter). 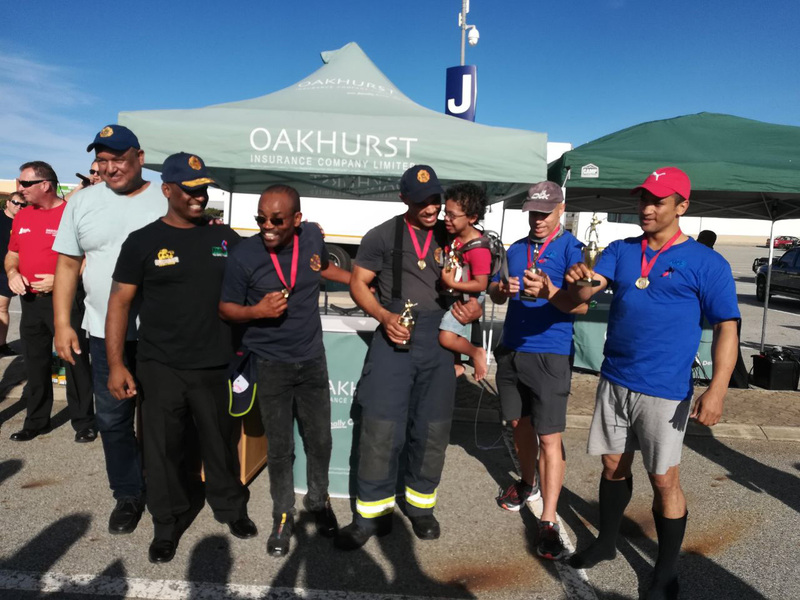 Eden District Municipality(Eden DM) formed part of the International Firefighter Day celebrations in George, which was arranged by George Municipality and sponsored by Oakhurst Insurance. On 5 May 2018, Eden DM Firefighters participated in a Potjiekos competition and a Firefighter Team Challenge at Garden Route Mall. Two teams from Eden DM excelled during the Team Challenge where 11 teams competed. Our Eden DM Firefighters won 1st place, while the other Eden DM team achieved the 5th position. WE WOULD LIKE TO CONGRATULATE all our brave Firefighters for their excellence and perseverance. 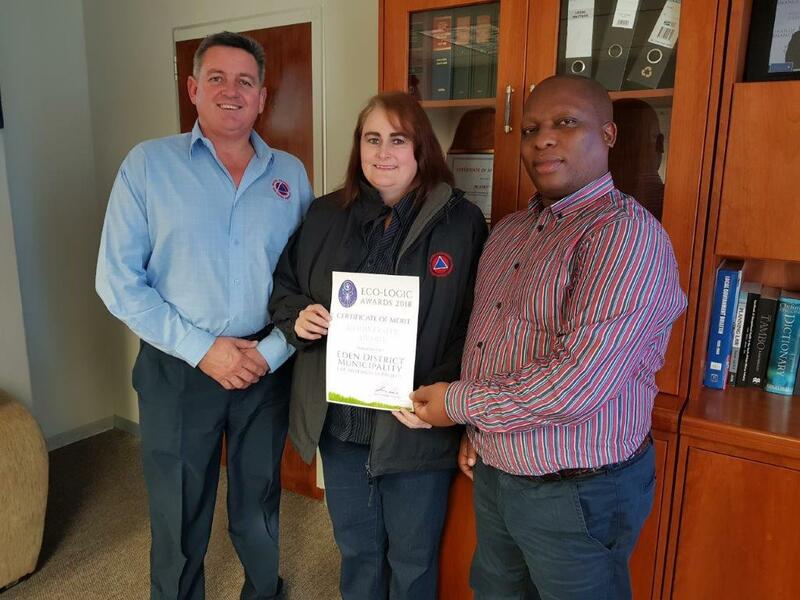 Eden DM is notorious for being the best at firefighting in South Africa because the municipality’s firefighters have won the Toughest Firefighter Alive Competition and Relay Team divisions for a few years in a row. Pictures were captured by George Municipality and one by the George Herald. 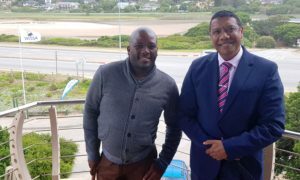 Mr Monde Stratu, Eden DM Municipal Manager, was elected as the President of the Institute for Local Government Management of South Africa (ILGM), on 16 November 2017. Currently, there are nearly 300 Municipal Managers in South Africa (Local, district and metros combined). ILGM is a platform where the Municipal Managers (Section 56 and 57) come together at an annual conference to share best practices in terms of service delivery models and how to deal with various factors relating to the changing political landscape in South Africa. 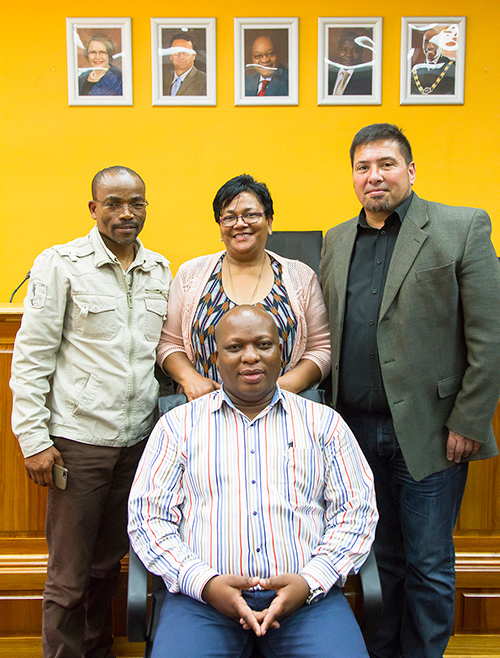 Proud political leaders from Eden District Municipality with Mr Monde Stratu (seated), who has been elected as the President of the ILGM, South Africa. Standing from left to right behind Mr Stratu is Cllr Memory Booysen, Executive Mayor, Cllr Rosina Ruiters, Deputy Executive Mayor and Cllr Mark Willemse, Speaker. During a Special Council meeting today, 20 November 2017, Speaker Mark Willemse congratulated Mr Stratu on his election as the president of ILGM and said that it is a remarkable achievement which he has reached in such a short time of being a Municipal Manager at Eden DM. • Constant improvement of conditions of service for Senior Managers. Eden DM Councillors stand by Mr Monde Stratu (front row, 5th from left) after congratulating him on his election as the President of the ILGM South Africa. At the National Wetlands Indaba 2017, the Eden District Municipality (Eden DM) was awarded a Certificate of Participation for its outstanding contributions towards the successful implementation of the ICLEI Local Action for Biodiversity (LAB): Wetlands South Africa project. 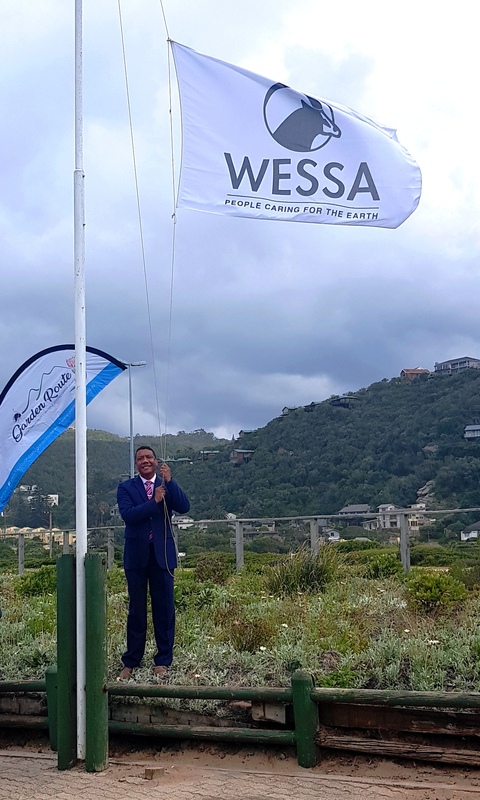 The Eden DM was one of a few other district municipalities which contributed towards the LAB: Wetlands South Africa project which won the prestigious Wetlands Crane award during the National Wetlands Awards ceremony held at this year’s Wetlands Indaba in Port Edward, Kwazulu-Natal. The prestigious Crane awards are annually sponsored by Mondi and consist of unique bronze Wattled Crane sculptures designed by sculptor Sarah Richards. It is awarded annually to recognise outstanding contributions to wetland work in South Africa. ICLEI’s LAB: Wetlands South Africa project contributed significantly to the long-term conservation and sustainable use of wetlands and also served as an inspirational and practical example for others. The project has been enhancing the awareness of wetlands as well as the integration of biodiversity considerations into local government planning and decision-making. It has built the capacity of district municipalities to prioritise and effectively manage wetlands and biodiversity. The Eden DM has fully supported and benefitted from this project. Its participation within the project highlighted the challenges experienced with wetland management within the district which resulted in the development of two essential documents, the Eden District Wetlands Report as well as the Eden District Wetlands Strategy and Implementation Plan. These documents were co-developed by both ICLEI as well as the Eden District Municipality as part of the LAB project. The Wetlands Strategy and Implementation Plan provide for key implementation strategies within the district as well as its incorporation within the Eden DM Spatial Development Framework and Integrated Development Plans. This will facilitate dynamic and focused wetland management and protection initiatives within the district. Eden DM recognizes that wetlands are of immense value as it contributes to service provision and disaster risk reduction through ecosystem services such as flood attenuation, water filtration and water security, which are increasingly important in a changing climate. The municipality seeks to enhance the conservation and management of the districts’ natural wetland resources through the integration of biodiversity considerations into local government planning and decision- making.